Ethel M. Hershey, 82, of Lancaster passed away on Tuesday, Jan. 15, 2019. Born in Leacock Twp., she was the daughter of the late Enos G. and Elizabeth "Lizzie" Groff Hershey. Miss Hershey was a Registered Nurse, having graduated from LGH School of Nursing and Eastern Mennonite College. 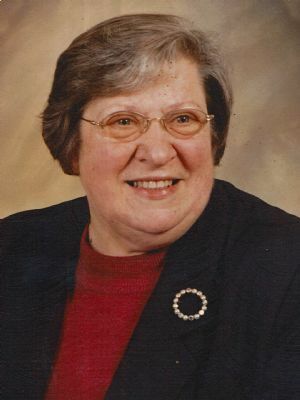 She worked in Public Health as an Administrator of the Pennsylvania State Health Center in Lancaster from 1969-1994. She enjoyed spending time with family, and serving her community and church, Grace Point Church of Paradise, where she was an active member her entire life. She will be lovingly missed by a sister, Mary wife of James Herr, Lancaster; five nieces; one nephew; and 11 great nieces and nephews. A brother, Warren Hershey; a sister, Elsie Diem; two nieces and a nephew preceded her in death. Funeral Services: 11 a.m. Saturday, Jan. 19, 2019 at Grace Point Church, 8 S. Singer Ave., Paradise, PA 17562. Viewing: 10-11 a.m. Interment: Paradise Mennonite Cemetery. Kindly omit flowers. Memorials are suggested to Grace Point Church c/o the above address.